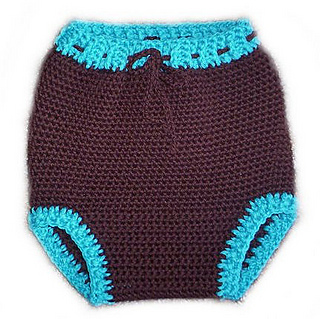 This pattern is for crocheted, pull-on diaper soakers. 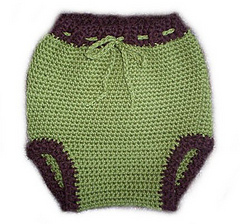 The sizes range from preemie to x-large and there are also directions for customizing the fit to your baby. 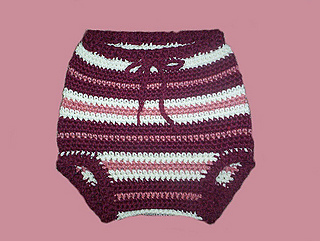 It is crocheted in the round with worsted weight 100% wool yarn and features ribbing in the legs and waistband and a drawstring waist. There are also instructions for finishing the soaker without ribbing if that is preferred. You can make approximately 2-6 soakers with Fisherman’s Wool depending on the size you make. This pattern is compatible with the Skooter Skort Extension Pattern.